Former Information Communication Technology minister Supa Mandiwanzira, who is facing charges of criminal abuse of office, was yesterday granted $2 000 by chief magistrate Mishrod Guvamombe. As part of his bail conditions, Mandiwanzira, who was represented by Selby Hwacha and Brian Hungwe, was ordered to surrender his passport, title deeds of a property valued at $100 000, to reside at the given address and to report twice a week at Borrowdale Police Station. 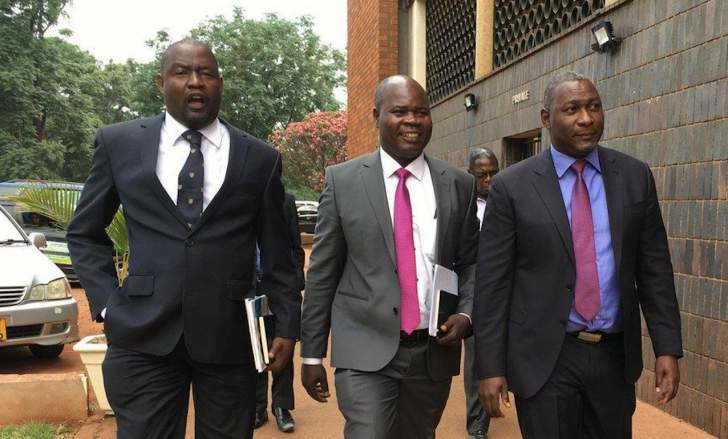 He was also ordered not to interfere with State witnesses who include former NetOne directors and board members Ozias Bvute, Sam Kundishona, Reward Kangai, Brian Mutandiro and Alex Marufu. The State alleges that on June 26, 2013, former NetOne chief executive officer Kangai and a Chinese company Huawei Technologies entered into a contract for the supply of network expansion and modernisation equipment to the tune of $218 954 843. After signing the contract, NetOne secured a loan with China Exim Bank through the Finance ministry represented by Patrick Chinamasa. It is alleged on January 19, 2015, Megawatt Energy, a South African company owned by Lui Xiadong wrote to Mandiwanzira, seeking a meeting with the minister. Mandiwanzira agreed to engage Megawatt supposedly on a pro-bono basis. Megawatt, it is alleged, jointly owned a property in Johannesburg with Mandiwanzira's company Blue Nightingale. Mandiwanzira engaged Megawatt without going to tender and in the absence of a contract, according to the State case. Mandiwanzira convened a meeting and directed Marufu and Kangai to pay $4 million to Megawatt, but the State-owned mobile phone operator refused as there was no contract. In the second count, Mandiwanzira allegedly brought Tawanda Chinembiri, who was employed at AB Communications, as head of finance and business development as his personal assistant. It is alleged on February 3, 2016, Mandiwanzira appointed Chinembiri to be the ministry's representative to sit on both Postal and Telecommunications Regulatory Authority and Universal Services Fund board meetings. Chinembiri allegedly went on to receive $35 000 in board allowances.